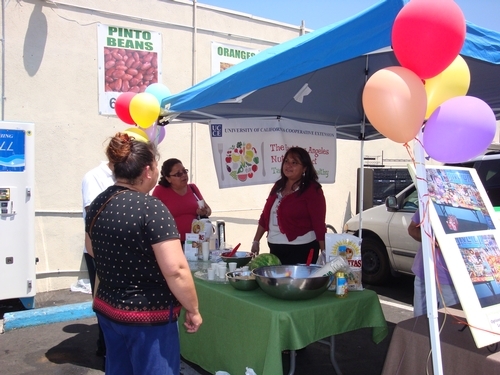 How do you use California table olives in your family meals? On pizza? In salads? In Mediterranean dishes? As part of your holiday relish trays? Today, California is the only U.S. state to commercially produce olives. Over 95 percent of production is canned as California-style black-ripe or green-ripe olives. California table olive (Olea europaea L.) growers rely on the primary ‘Manzanillo’ cultivar. To assure absolute quality, harvesting is done by hand. Using ladders, crews hand-harvest the olives off each branch, tree by tree. 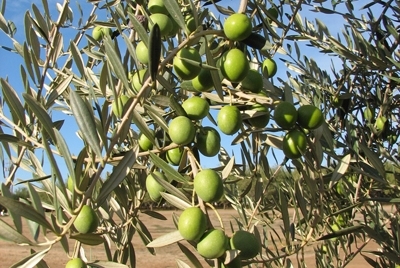 There can be 1,000 olives on a tree, so each crewmember can pick only two or three trees a day. 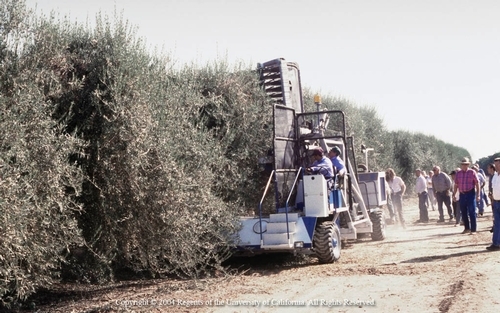 Hand harvesting expenses account for roughly 45 to 60 percent of gross return for growers; and increasing labor costs adversely affect California’s global competitiveness in the table olive market. This is an unsustainable economic situation. California olive growers cannot survive spending more than half their gross incomes on harvest labor. To help California olive growers deal with this economic dilemma, UC Cooperative Extension specialist Louise Ferguson and her team of research collaborators are focusing on the mechanical harvest of table olives, thus relieving the growers’ total dependency on the costly and shrinking numbers of available hand laborers. Mechanizing the harvest of table olives presents some unique challenges. The tree canopy and trunk must be adapted to interface with the harvester, avoiding damage to the tree, and the fruit must be collected with minimum bruising. 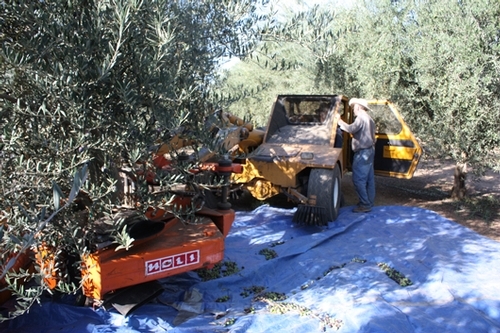 Mechanical harvesting is particularly difficult with table olives. Tree trunk damage, bruised fruit and poor removal efficiency have limited its acceptance. New technologies have been developed to address these problems: trunk shakers and canopy contact harvesting heads. The most limiting factor, fruit damage, has been eliminated. The trunk shakers can be used in new high-density orchards developed by Ferguson and her team. The canopy harvester can be used in existing orchards if trees are pruned into hedgerows and in the new high-density orchards.